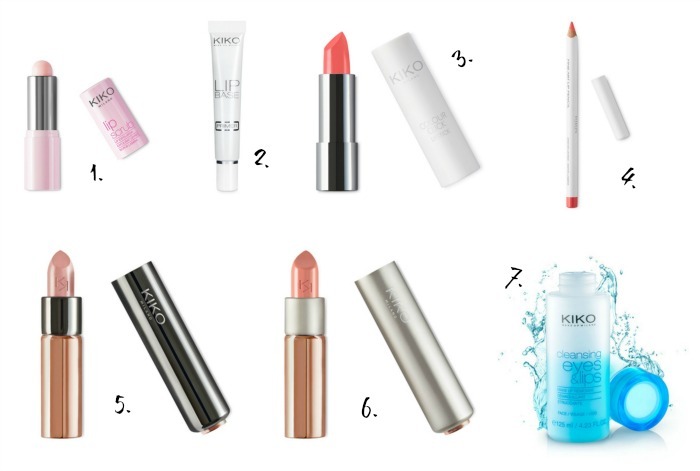 National Lip Appreciation Day is today, March 16, and Italy’s premier cosmetic house, KIKO MILANO, has everything you need to make sure your pout is perfect all year round! From essential lip exfoliants to bold lipsticks – there’s no better way to celebrate National Lip Appreciation Day than with KIKO MILANO. Start you lip care regimen with two amazing products from KIKO MILANO, Lip Scrub ($12) is formulated with special crystals that gently exfoliate and soften the lips, leaving them feeling smooth and fresh. And KIKO MILANO Lip Base Primer ($9) works to neutralize the color of your lips before applying lip color. The special formula is enriched with Vitamin E to ensure that your lips will be completely protected. From KIKO MILANO’s NEW Limited Edition Collection, The Artist Colour Click Lipstick ($8 - Available in 6 shades) provides intense, radiant color while the soft texture leaves lips feeling wonderful. Also from KIKO MILANO’s NEW Limited Edition Collection, The Artist Fine Art Lip Pencil ($6 - Available in 6 shades) provides long-lasting color that glides onto the lip contour with ease and can be blended effortlessly. Waterproof and kiss-proof, making it a must-have lip liner. The KIKO MILANO Gossamer Emotion Creamy Lipstick ($11 - Available in 30 shades) provides a shiny, full color finish – enhancing the sensuality of the smile with a high, sparkling pigmentation. The creamy, luxurious texture accentuates lips, making them truly irresistible. The KIKO MILANO Glossy Dream Sheer Lipstick ($11 - Available in 15 shades) is a semi-sheer lipstick that reflects light leaving lips supple and radiant. The formula contains orchid extracts to provide a smooth texture that moisturizes lips and glides on easily. Gently and effectively remove lip color with the KIKO MILANO Cleansing Eyes & Lips ($9) makeup remover. Formulated with sweet almond oil, calendula extract and apricot extract to cleanse the skin while providing a softening and nourishing effect. KIKO MILANO is available online and at KIKO MILANO stores.